The Trump administration has asked the Supreme Court to block the deposition of Commerce Secretary Wilbur Ross, who approved adding the citizenship question to the 2020 census. Supreme Court Justice Ruth Bader Ginsburg has temporarily blocked lower court orders for depositions by two senior Trump administration officials in the multiple lawsuits over the new question about U.S. citizenship status on the 2020 census. The ruling comes after U.S. Solicitor General Noel Francisco filed a request Tuesday night for the high court to permanently block the court-ordered depositions by Commerce Secretary Wilbur Ross and Justice Department official John Gore, as well as requests for internal documents. After the lawsuits' plaintiffs file a reply to the administration's request by 4 p.m. ET Thursday, Justice Ginsburg can either make a ruling herself or refer the request to the full Supreme Court. The Trump administration's request to the high court comes amid a last-minute scramble by its attorneys to stop Ross and Gore from having to sit for questioning under oath in the two lead lawsuits in New York. Evidence gathering for the two lawsuits is set to end this week. All of this legal back-and-forth is building up to the start of the first potential trial over the citizenship question, which is set to begin on Nov. 5, the day before the midterm elections, at the U.S. District Court for the Southern District of New York. Lawyers for the dozens of states, cities and organizations suing the Trump administration were set to question Gore on Wednesday and Ross on Thursday. Ross approved adding the citizenship question to the census as the head of the Commerce Department, which oversees the Census Bureau. Gore leads the Justice Department's Civil Rights Division that, the administration argues, needs responses to the citizenship question to better enforce the Voting Rights Act's protections against discrimination of racial and language minorities. Earlier on Tuesday, a three-judge panel of the 2nd U.S. Circuit Court of Appeals rejected the Trump administration's effort to stop Ross' deposition, which the judges kept temporarily on hold to allow either the administration or the lawsuits' plaintiffs "to seek relief from the Supreme Court," according to their order. The 2nd Circuit order on Tuesday upholds an earlier ruling by U.S. District Judge Jesse Furman, who wrote: "Secretary Ross must sit for a deposition because, among other things, his intent and credibility are directly at issue in these cases." The administration's attorneys, however, argue that Furman should base his ruling on the cases on the internal documents the administration has already released as part of the lawsuits. Last week, Ginsburg turned down the administration's previous request for the high court to temporarily stop the depositions and document requests for the lawsuits but left the door open for the administration to ask the court to permanently block them. Ross has said he added the question so that the Justice Department can use the citizenship information to better enforce Section 2 of the Voting Rights Act. But the plaintiffs say the federal government does not need the 2020 census to collect citizenship data to enforce Section 2 of the Voting Rights Act. Since the law was enacted in 1965, the government has relied on estimates of voting-age citizens from a Census Bureau survey now known as the American Community Survey. More than two dozen states and cities, plus other groups, have filed suit to get the citizenship question removed from forms for the upcoming national head count. Citing Census Bureau research, they worry that asking about citizenship status in the current political climate will discourage households with noncitizens from participating in the census. That, in turn, would harm the accuracy of the information collected for the constitutionally mandated head count of every person living in the U.S. 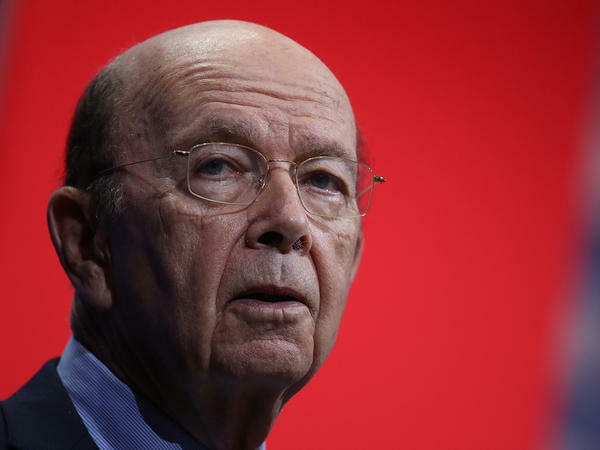 In their complaints, the plaintiffs say that Ross' decision to add the question was a misuse of his discretion over the census as the head of the Commerce Department. They also allege that the Trump administration's push for the question discriminated against immigrant communities of color. The Census Bureau has not asked all households in the country about citizenship status since 1950. Democrats in both the Senate and House of Representatives have been calling for Ross to return to Capitol Hill to testify about the citizenship question after internal memos and emails released as part of the lawsuits contradicted a timeline Ross described in past testimony. Before announcing the addition of the citizenship question in March, Ross told lawmakers that the Justice Department "initiated" the request for the question. Asked whether the White House directed him to add a citizenship question, Ross said during a House hearing, "We are responding solely to the Department of Justice's request." In June, however, Ross disclosed in a memo filed as part of the lawsuits that he began considering adding the question to the 2020 census "soon after" he took over the Commerce Department in February 2017; the Justice Department sent its formal request to the Census Bureau later that year, in December. Ross also noted that "other senior Administration officials had previously raised" the issue of a citizenship question.